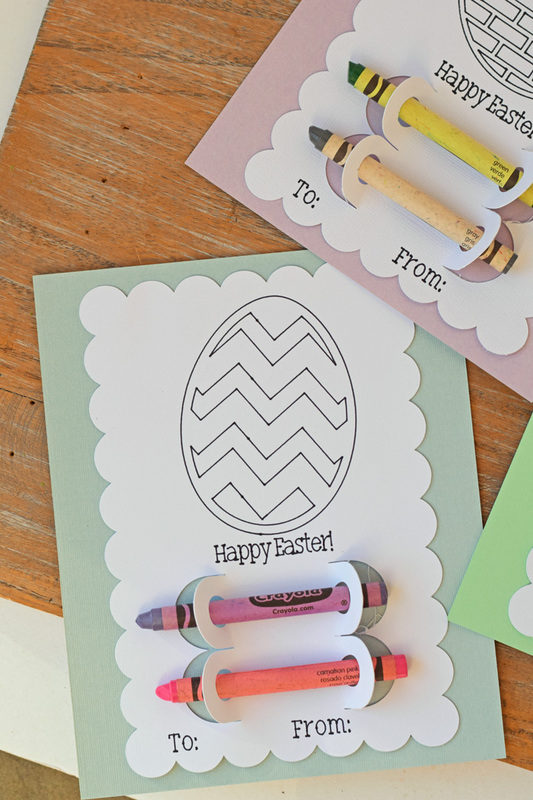 These Colorable Easter Cards are a sweet little Easter craft made with the Cricut! This project is made as part of the Glue Dots Creative Maker Team. This post contains affiliate links which, when purchased through, add no cost to the consumer, but help support this site with a small commission. This post is sponsored by Glue Dots. 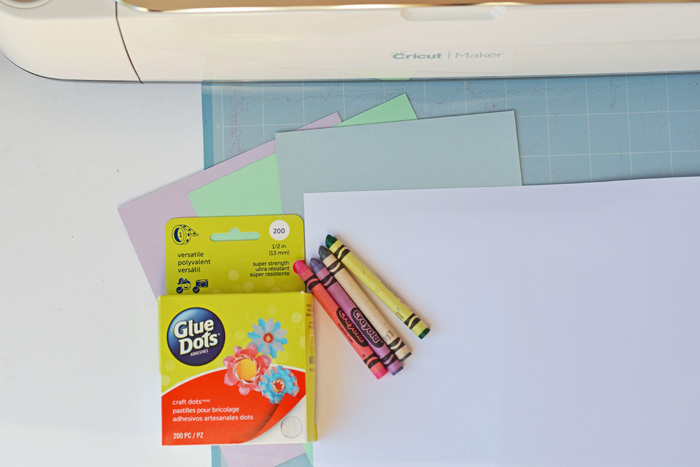 For any Cricut users who have not delved into the world of paper crafting or using Cricut pens, colorable cards are a great way to begin. 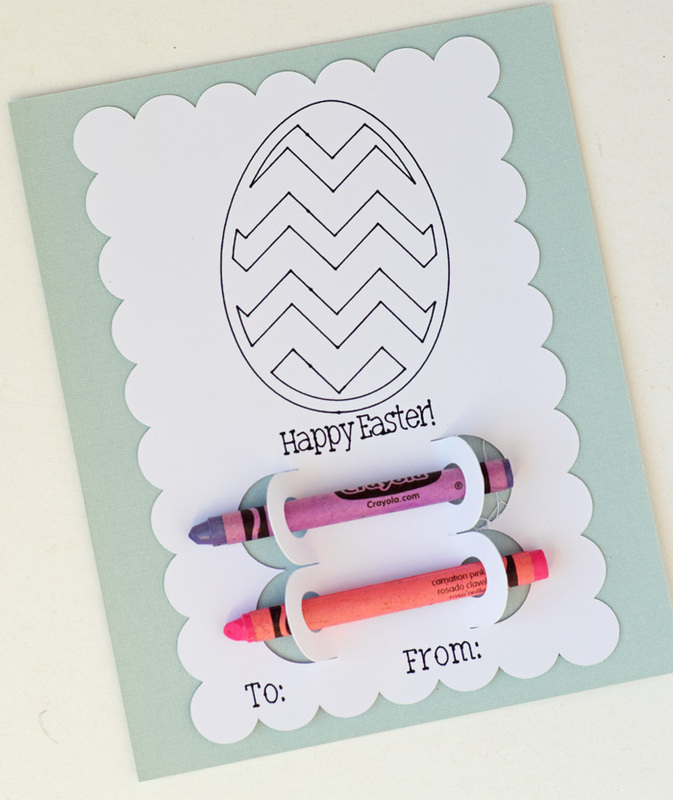 These Colorable Easter cards are a fun addition to any Easter table. 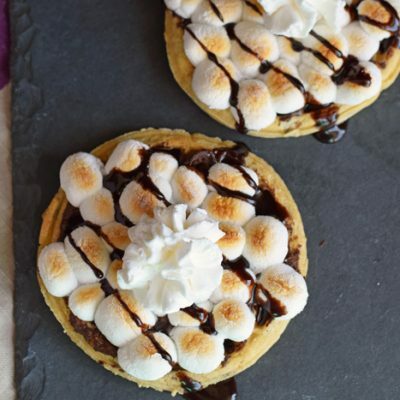 If you are hosting Easter lunch or dinner this year, include these on the kids’ table. 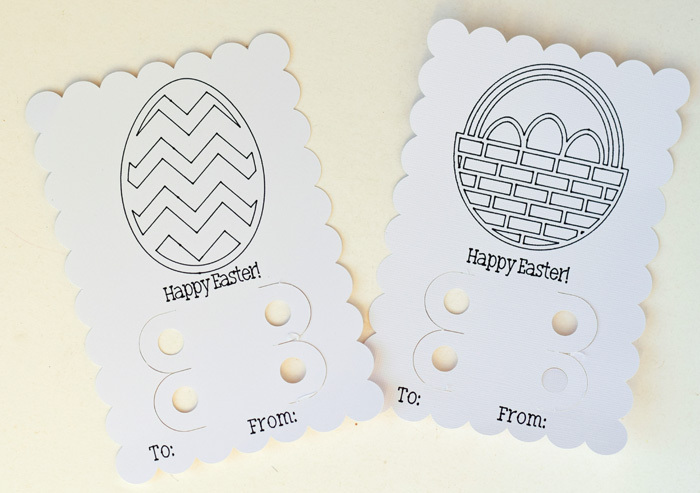 They are a quick and easy Cricut Easter craft, yet I like that they can be customized with the help of the Cricut machine. 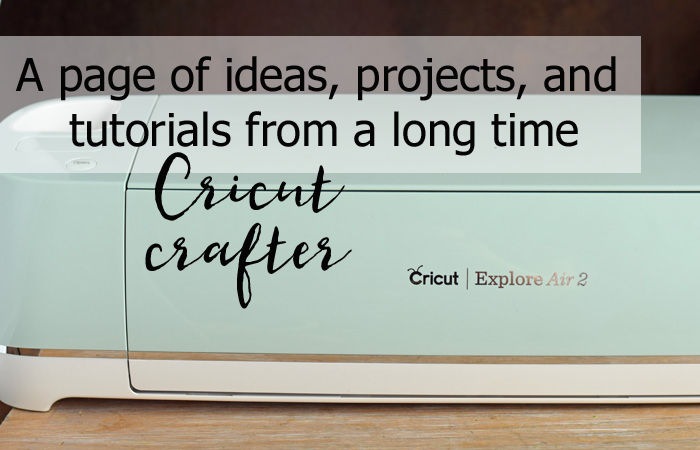 Cricut Machine – I’m using the Cricut Maker, but the Cricut Explore Air 2 series machine will also work for this project. 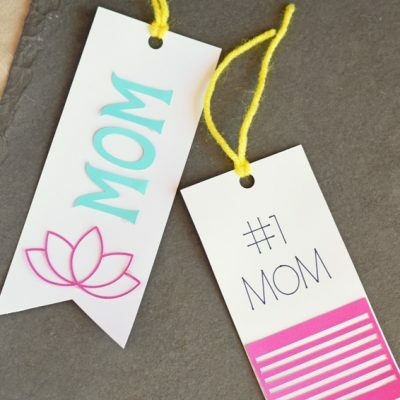 To make this project even easier, utilize my already designed project file in Cricut Design Space. 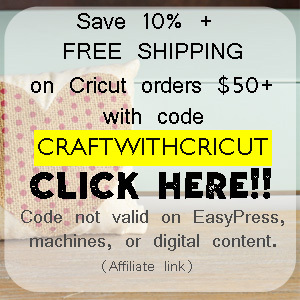 Click THIS LINK and log into Cricut Design Space. The project preview will appear. You may choose to either cut it right away or click “Customize” to alter the text or design. 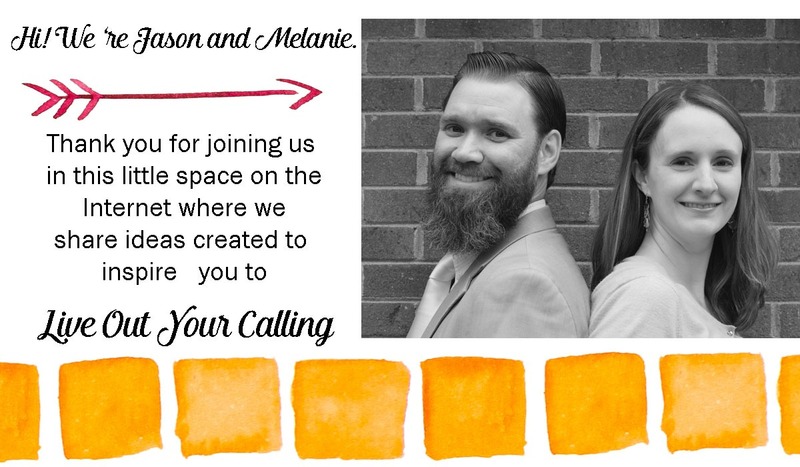 If you decide to customize with a different layered image, check out this post on How to Make Any Image into a Coloring Sheet to see how to transform the image from a layered image to a flat, outline only image. Send the image to the Cricut machine for cutting. 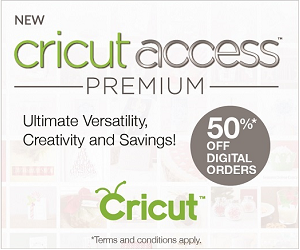 Cricut Design Space will prompt you on all the cutting specifics. Use the white card stock for the colorable page. 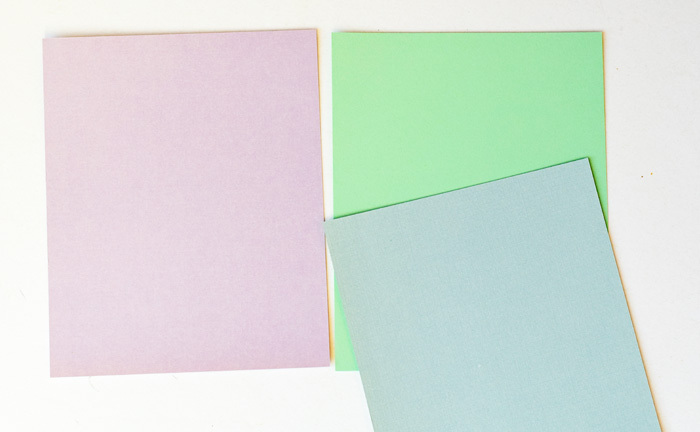 The pastel or brightly colored card stock papers are for the background. 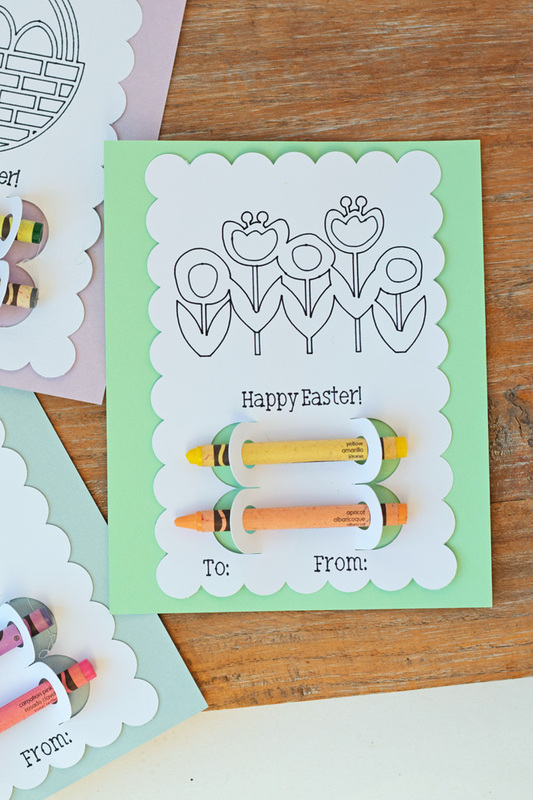 Once all pieces are cut, lay them out and make sure that the colorable card stock pieces are cut completely and weed the crayon holes if needed. Turn the colorable pieces over so that the backs are facing up. 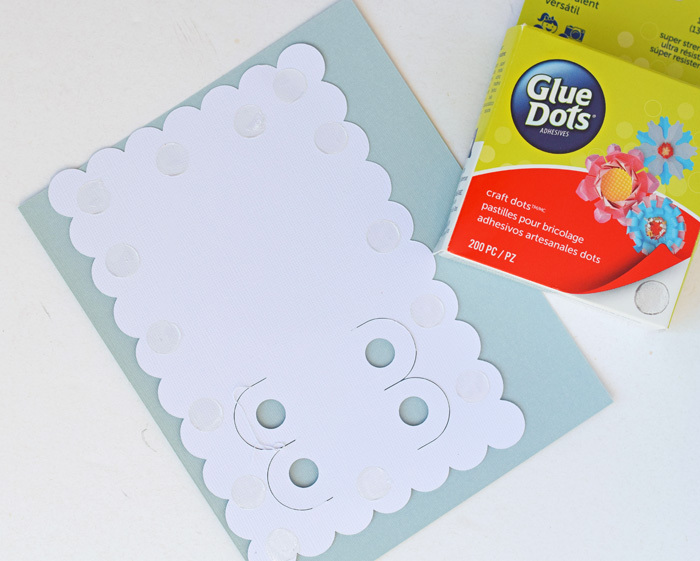 Place Glue Dots Craft Dots around the edges, being sure not to place any adhesive over the crayon holder portions. 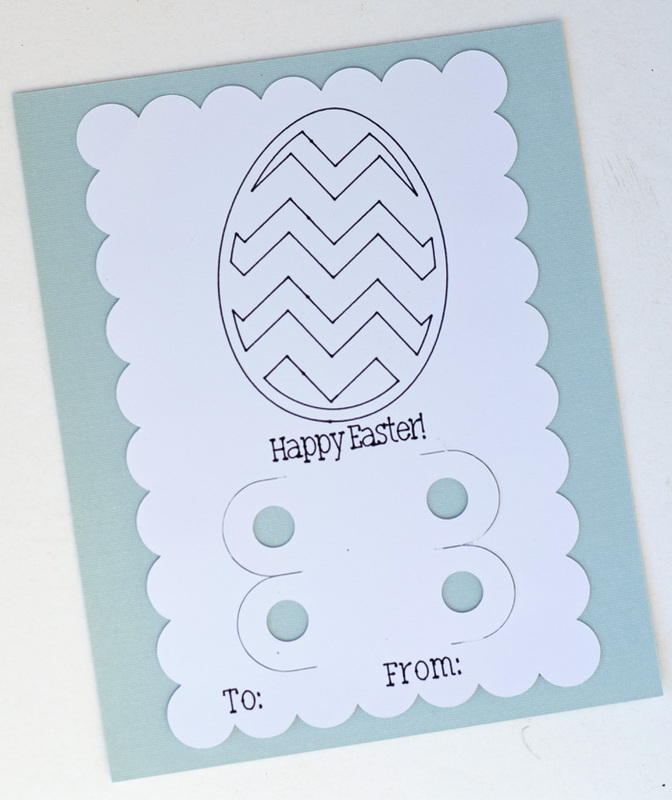 Press the colorable portion into the center of one of the pastel pieces of card stock. Press up the crayon holders. Insert crayons. 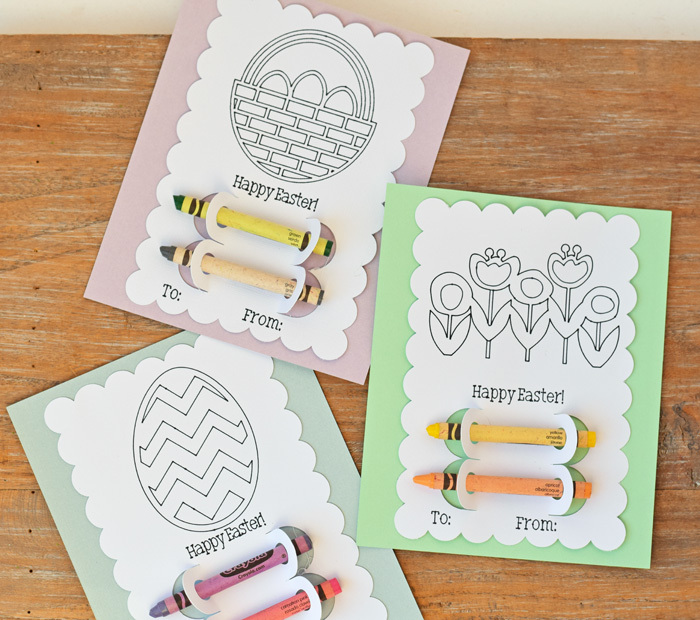 Place each child’s name on the card in a letter font that can be colored. 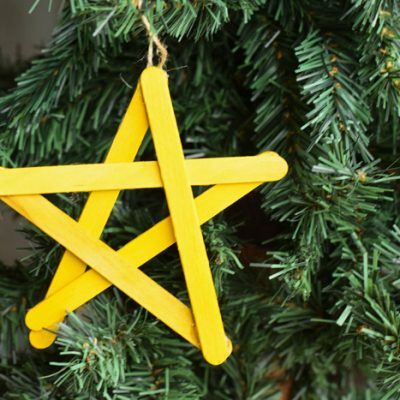 Include adhesive jewels or sequins to add a bit of sparkle to the craft. 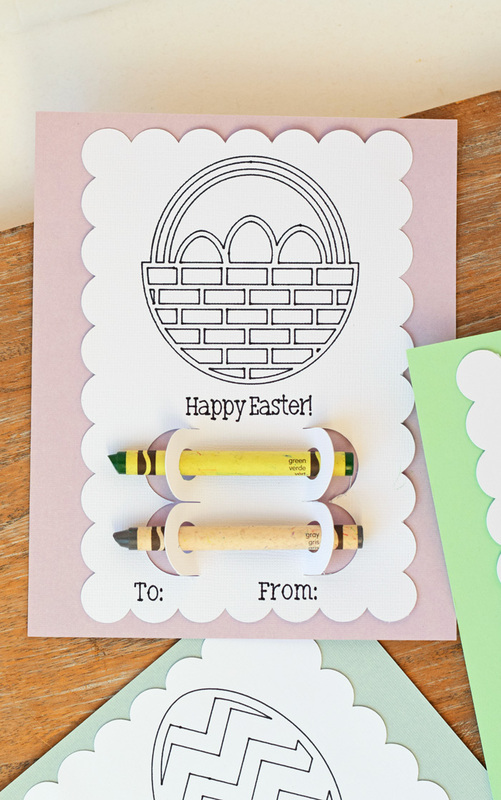 Are you looking for more general Cricut crafts or Cricut Easter crafts? See my Cricut project page for more tutorials!